While short listing coaching institutes across the city offering Expert Coaching for Staff Nurse/Nursing Officer Government Recruitment, one has to do a whole lot of exercise to rustle out info online. 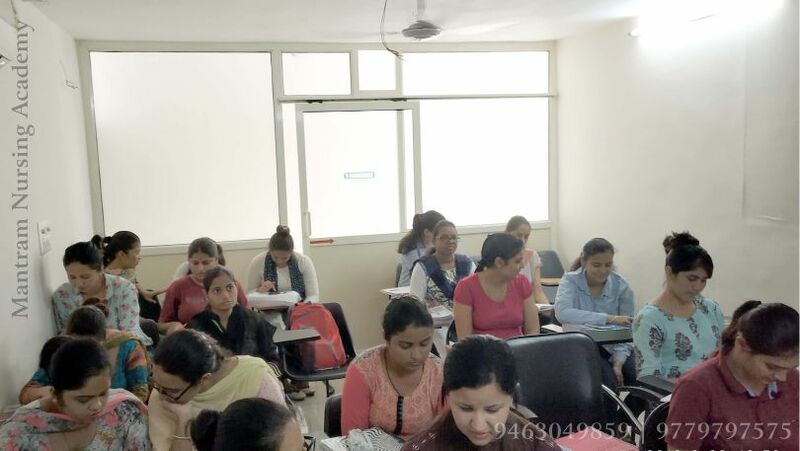 In the run-up to choose the best of them, you come across Mantram Nursing Academy in Chandigarh, a well-known coaching institute engaged in providing the best available coaching under the stewardship of seasoned faculty. The academy is well-equipped with state-of-the-art infrastructure, the best available teaching methodology and conducive environs that afford it an extra edge. Mantram Nursing Academy is tested and tried coaching destination for teeming millions of the career seekers from tricity and its neighboring states of Punjab, Haryana and Himachal Pradesh. Its proximity to the top academic and medical institutes, including Panjab-University, PGIMER-CHD and others, that offers it a place of prominence among-st its potential competitors. The expert coaching is imparted at the institute under the watchful eyes of an erudite faculty with rich experience in their respective fields is another prominent factor of our standing out. The academy has emerged as the one stop destination for Nursing Officer/Staff-Nurse coaching for recruitment in AIIMS, PGIMER, GMCH, DSSSB, HPPSC, MNS and other state government departments. With the general awareness among the health-conscious people around the world increasing by the day, the nursing profession has taken a quantum leap forward. There is no denying that nursing profession today has emerged as a major employment choice among the teeming millions of career seekers around the country. Those who eye positions in the public sector have a wider scope of job opportunities. It has opened a window of opportunities for those who are crazy to work as Staff-Nurse/Nursing Officer in the renowned hospitals of India. Some of the top-rung nursing colleges/universities/government medical colleges/institutes at a glance are PGIMER, AIIMS, JIPMER, CMC, IGMC, GMCH, CMC, DMC (Ludhiana), Dr.RPGMC,Tanda,Kangra (HP), BFUHS Baba Farid University of Medical Sciences (Punjab) and other state departments offer job opportunities for Staff Nurses, Nursing Officers and various other posts in the field of Nursing. Necessary information with regard to various vacancies is made available by the above mentioned colleges/medical institutes through various newspaper columns and notifications on their official websites for the benefit of aspirants from time to time.